LinkedIn Recruiter Premium Account : God Mode That Works! The Customize Windows > Computer and Internet > Internet > LinkedIn Recruiter Premium Account : God Mode That Works! LinkedIn Recruiter Premium Account Has Two Types – Lite and Corporate. Both are Kind of God Mode, Important for Spying on To Be Employees. Spying sounds too much NSA-ish, but it can happen that; the employee will run a real NSA Spyware work with your business data and fly away. You can frankly view the to be employee’s profile without adding them in contact, an important feature on a professional social Network. I am viewing and Paying the costs of these two types of LinkedIn Recruiter Premium Accounts in Indian Rupee (INR) as Currency, converting them to USD will translate to $100 per month for LinkedIn Recruiter Premium Lite and $800 per month for LinkedIn Recruiter Corporate Premium Account. Recruiter Corporate is 100% God Mode, Recruiter Lite is not Bad. Cost is high for a big fact (can be assumed) – ordinary users will use the features without any real reason to use. They will try to view the details of a Female candidate’s account; basically that is not needed by an ordinary user. It is accidental to use the feature, it delivered me a feel – some peoples possibly needs this LinkedIn Recruiter Premium Account, but are not aware of the feature. Well, ‘recruiter’ is the keyword – possibly better to name ‘owners’, ‘LinkedIn Owners Premium’ will sound TOO ODD, it is exactly for the owners group, not for the Employees, Freelancers. Yeah, there are more features; but it has that Recruiting-Specific Features to spy without making the person aware that you are viewing! It is really needed. Why I will lie about my Pass Out year? It is a constant and none possibly forget the year as a digit. Recruiter Lite is for the small business owners! Recruiter Corporate has no Free Preview, it has excellent features. Yes, none possibly need all the software as a service features – all has own hosted or other solution. Going for Recruiter Corporate option as Annual subscription is better, it becomes ~ $700 per month cost. In F/OSS age with NSA Spyware works, none will keep business data on others’ server; but it is great piece of software itself – it is only for the Recruiter Corporate. I loved many features, possibly LinkedIn does not want to tell everything in normal plain language; we should keep it secret. “Out-of-Network Visibility”! Job Analytics, InMail Analytics all are good features. Clipboard is a good feature. These are available in both “distro”! Yes, you can download and Print the Data. Talent Pipeline is a powerful feature. Overall, Spy Camera is also a good tool for practical purpose. Job Analytics, InMail Analytics all are good features. Clipboard is a good feature. As owners, we view lot of things! A gentleman actually undergoes a warm up session after the free hard work with a team. Who cares about others’ moral value. We need work, whether the wife is cheated, thats we need not to care about. Frankly you are God except the fact – you can not view the IP and Devices. I will always think like using Piwik on own server. Richard Stallman also use Piwik! The wrong is – handing over the data. Another layer is required. An employee can be offered this “spy feature” as opt in option. There are official reviews by all bigger brands, official reviews are great but I dislike reading Thesis like things. I will forget how to install Nginx if I read those thesis papers. LinkedIn tried their best to unofficially tell the features via other users. LinkedIn Recruiter Premium Account is playing in God mode, as I said. Not all love or need to play in God Mode. That is for debugging, developing the game! I love to play Return to Castle Wolfenstein in both normal and God Mode. Those who say that, it is wrong to spy on others profile anonymously as owners – I will say one thing – LinkedIn has not arranged a secret spy camera on a female’s toilet or bedroom. We only can see the profile. Richard Stallman also does spyware activity on his own website. The word is not SPYWARE in that case – else people will hack FSF’s server! Then Piwik is an unethical software. An employee will take $1000 – $800 per month every month from us and we will not arrange spy stuffs to save our businesses? Definitely. 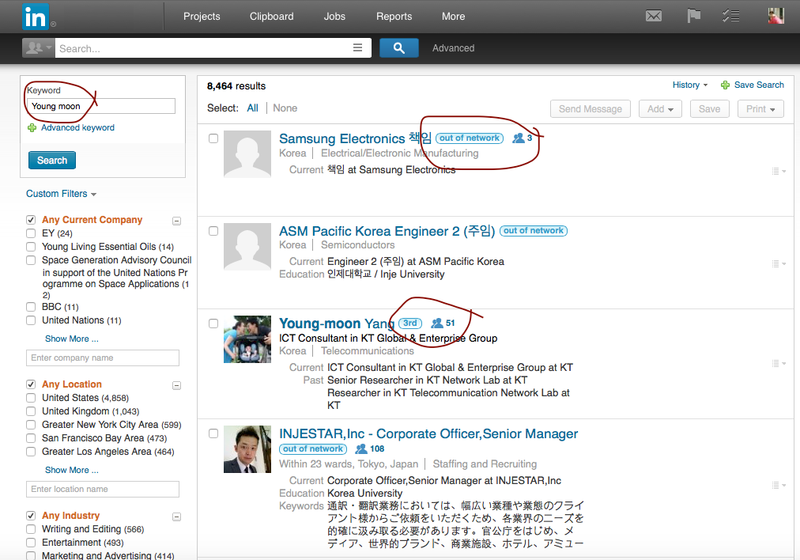 We can not see many things, which are needed but unethical for LinkedIn to give the data. This Article Has Been Shared 1868 Times! Articles Related to LinkedIn Recruiter Premium Account : God Mode That Works! Videotelephony is the transmission of the voice and moving images by means of a telecommunications system in distance and usually almost in real time. Communications Protocol in simple English, is a protocol may be defined as the Syntax, Semantics and synchronization to determine communication. Advanced Persistent Threat is a cyber threat which is a purposeful attack on critical IT infrastructures and confidential data from authorities & enterprises. Title: LinkedIn Recruiter Premium Account : God Mode That Works! Cite this article as: Abhishek Ghosh, "LinkedIn Recruiter Premium Account : God Mode That Works!," in The Customize Windows, February 19, 2015, April 23, 2019, https://thecustomizewindows.com/2015/02/linkedin-recruiter-premium-account-god-mode-works/.